Laura and Travis were married outside Brackett’s Crossing Country Club in Lakeville. The story of how they met is actually pretty surprising because the first time they saw each other, they didn’t actually speak. In fact, they didn’t meet in person until months later, on their first date. Laura had come into town for a football game and noticed Travis. 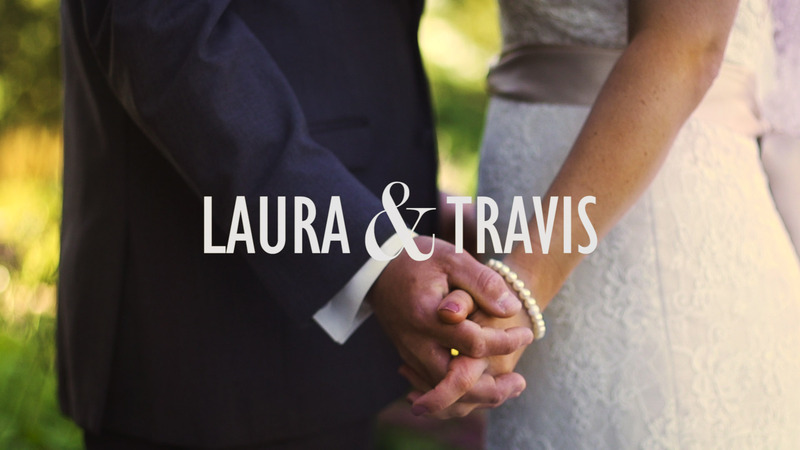 Around the same time, Travis was noticing Laura. Independently,they each asked their friends about the other, and their friends being helpful and hopeful, tried to get them together before Laura left town. But because Laura was early to bed, and early to rise, and Travis was quite the opposite, they missed their chance for dinner, and Laura was already gone when Travis woke up to find an invite to breakfast.